Staff and students participated in the Reindeer Games event at the high school on Thursday, Dec. 21. The games are held annually as part of the school’s larger positive behavior campaign. 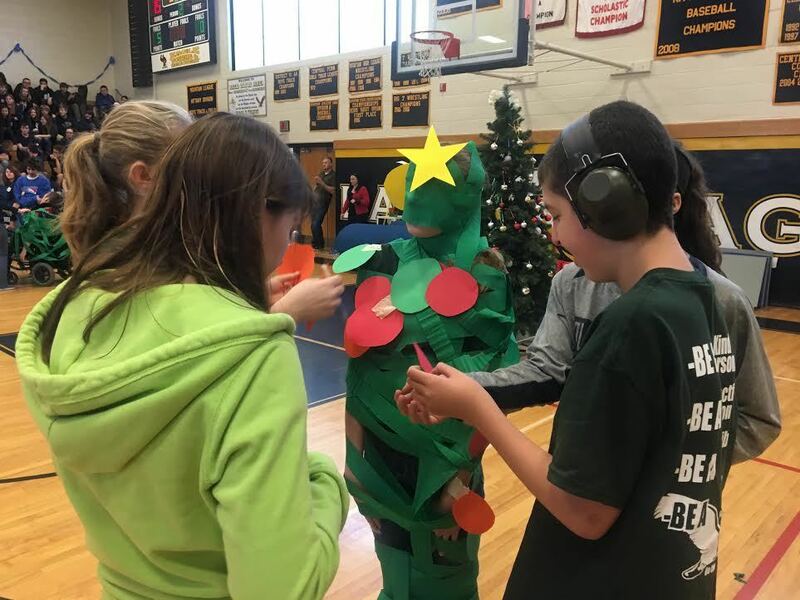 The friendly competition included several holiday-themed activities where each class and a group of teachers went head-to-head against each other. It include blindfolded musical chairs, a candy cane race, and human Christmas tree-decorating contests.